Left:Remington XM2010 Features a RACS Chassis originally developed with Cadex Defence. I always find it quite interesting as to what the predominant questions are that come from the contact pages at any of my websites. In the case of this website Modular Rifle I think all of the questions except for one have in one way or another pertained to The Remington RACS Chassis and variants used on the Remington Military Sniper Rifle XM2010 (currently known as the Remington M2010) and it’s visually similar but mechanically different siblings the Remington MSR, Remington PSR and the Remington CSR. There’s is quite a bit of confusion about the Remington RACS and Cadex Chassis Systems which is completely understandable. 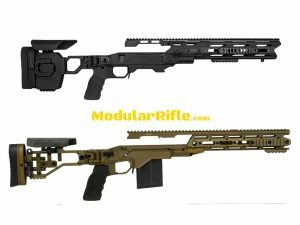 Remington Military isn’t very forthcoming with information and Cadex Defence is evolving their modular rifle and chassis lineup with impressive speed. Maybe we can sort some of it out with our guide below. If you have additional information to improve this page please use the contact button below! Thanks. RACS is the acronym for the Remington Military “Remington Accessory Chassis System” . The Remington RACS was developed by a joint effort between Remington Military and Cadex Defence. The patent pending Remington Accessory Chassis System (RACS) incorporates state-of-the-art operator-defined attributes such as a free-float tubular design and a fully featured front handguard section. Operator selectable auxiliary rail sections in various lengths can be attached to any of the seven remaining facets of the octagonal handguard, which allows the operator to install clip-on in-line night vision systems. The folding RACS buttstock provides the operator with a wide variety of adjustments to allow setting the system to suit the shooter and the operating conditions. Are Remington Defence RACS the Same as Cadex Defence Chassis? Observant shooters have noticed that the Remington RACS closely resembles Cadex Defense Chassis. This makes perfect sense. The Original Remington XM2010 was developed by a partnership between Remington Military and Cadex Defence. 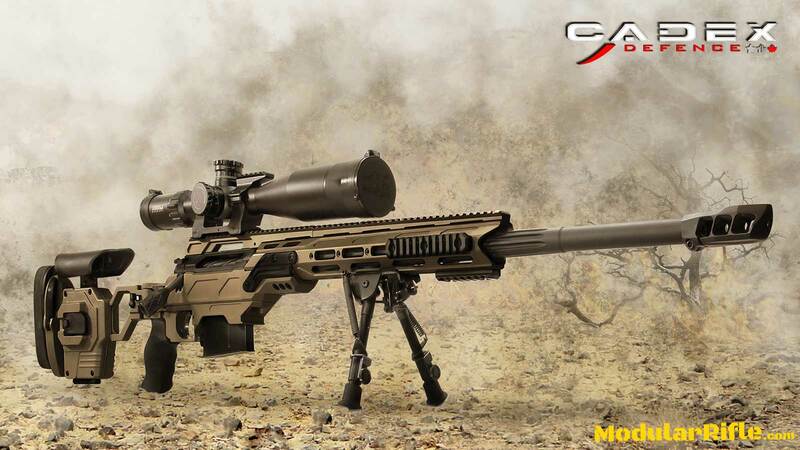 What Cadex Chassis did the Remington XM2010 sniper rifle use? The Cadex Dual Strike is the closest match but not identical. What’s Better Remington RACS or Cadex Dual Strike? Cadex has been upgrading the Dual Strike pretty regularly. At this time Cadex is on their 4th generation Dual Strike. Remington Military has made no publicly known changes to the RACS since release. While I can’t say first hand which is better but I will be putting my money down on the Cadex. The Cadex is also less expensive then the Remington. The Remington Arms Chassis System refers to the Remington RACS on a complete Remington M2010/XM2010 ESR Enhanced Sniper Rifle when bought or fielded as a package. The Remington Accessory Chassis System version of the RACS is how Remington Military refers to the RACS when purchased as an accessory and without a barreled action. Remington only list this as being available in sort action. Now my take is the Remington Military website is simply out of date. EuroOptic list the RACS as being available in 300 Winchester Magnum, Remington 700 Long Action. There are multiple versions of Remington RACS. The RACS chassis that is used in the XM2010, M2010 Sniper Rifle and the RACS chassis’s used in the Remington MSR, CSR and PSR Sniper Rifles. The Remington RACS Chassis in use on the Remington Defense Modular Sniper Rifle “MSR” and Remington Defense MK21 Precision Sniper Rifle “PSR” use a proprietary bolt action receiver and interchangeable barrels. This Remington RACS chassis in not compatible with any other receiver or barreled action. This RACS Chassis will not accept a Remington 700 receiver or barreled action. The Remington RACS is only compatible with the Remington 700 and Remington 700 clone long and short actions. On the other hand the Cadex line of Chassis is compatible with the following brands of rifle actions (not all chassis, not all rifle models).